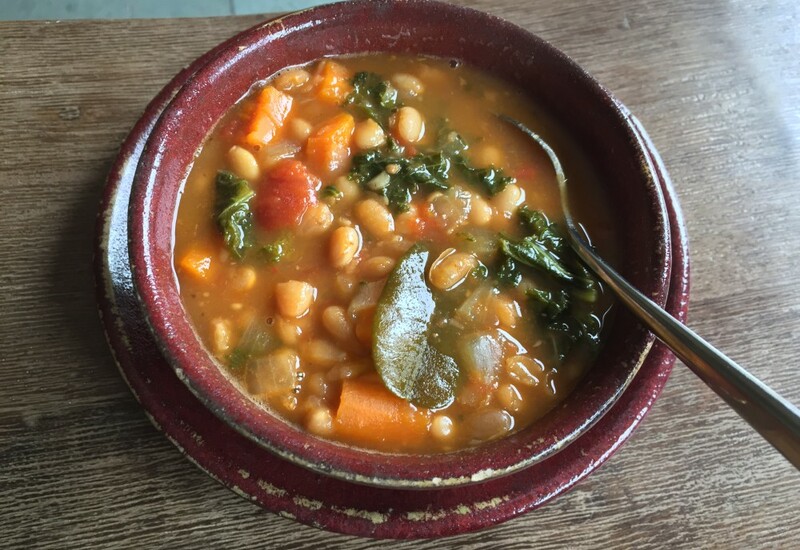 Sweet, sour, salty, bitter, and spicy elements give an otherwise typical bean-and-vegetable soup a delicious facelift. Infused with lemongrass and lime leaves, doused with freshly squeezed lime juice, and seasoned with fish sauce and a touch of palm sugar, this soup will quickly become a favorite. Soaking beans is not necessary prior to cooking them. It is simply a preference, affecting cooking time. Unsoaked, the beans will require more time to cook. However, this also gives them more time to absorb flavor, making it well worth the long cooking hours. Add any kind of green vegetables to enhance the flavor and texture of the soup—chopped green beans, broccoli, or Brussels sprouts, for example. Like any soup or stew, while delicious freshly made, it is even better reheated the next day, after the flavors have rested overnight. Per Serving: 217 calories; 6g fat; 35.1g carbohydrates; 8g protein; 0mg cholesterol; 781mg sodium. This thai curry soup is amazing. So much flavor, it's definitely in my list of dinner favorites.